Marc Maister concentrates his litigation practice on high-profile insurance disputes, general civil litigation, cyber liability and privacy matters and professional liability defense. 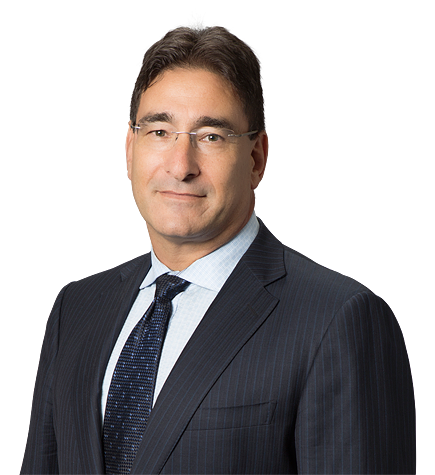 He serves in a leadership role as chair of Irell & Manella LLP’s Insurance practice and co-chair of the Cyber Liability and Privacy practice. Marc has recovered over $1 billion from insurers on behalf of clients in multiple sectors, including technology, entertainment, construction, healthcare, manufacturing and government. He has successfully litigated cases in state and federal courts throughout the U.S., as well as in arbitration proceedings, to recover funds for major losses involving cyber theft, natural disasters and environmental matters. Marc has experience in disputes involving a range of coverages, including commercial general liability, professional liability, fidelity and crime, cyber liability, directors and officers insurance, multimedia, employment practices liability, environmental and umbrella and excess liability, property insurance, disability and life insurance. Marc’s creativity and relentless drive to achieve his clients’ goals are key to his success as a litigator. When crafting a case strategy, he typically prepares for trial whether or not the case will come before a judge. Marc’s extraordinary level of preparedness gives him substantial leverage to negotiate favorable settlements for his clients. Marc regularly counsels businesses and individuals on a wide range of insurance matters. He helps clients evaluate their insurance needs before losses occur or claims have been asserted to determine if there is sufficient protection in place. He also negotiates and enforces various insurance agreements pertaining to self-insured retentions, minimum premium arrangements, captive insurance and reinsurance programs, group and association agreements and similar arrangements. Together with clients, brokers and risk managers, Marc advises on the structuring of insurance programs and works closely with transactional lawyers on various sophisticated insurance issues such as cyber exposure. Secured over $27 million from insurers of behalf of a medical device manufacturer. Recovered over $50 million from insurers arising out of environmental claims against a client. Secured a several hundred million dollar insurance recovery in connection with Hurricane Katrina. Recovered $150 million on a claim involving asbestos. Represented an apartment complex owner in a first party earth movement claim and recovered over $60 million. Defended an international law firm on several legal malpractice claims, including obtaining summary judgment and winning the appeal on a $20 million claim. Recovered over $70 million from insurers regarding a malpractice claim. Represented the County of San Bernardino on several insurance recovery matters, with a recent recovery of well over $60 million. Represented a claimant in the Highlands Insurance Company receivership proceedings. Defending several apartment management entities in defense of class action ICRA claims. Successfully retained insurance coverage on behalf of a client and negotiated a settlement in the then-largest ERISA case in the country. Successfully obtained insurance coverage on behalf of clients and payment of defense costs in numerous construction defect actions. Assisted numerous entertainment clients with various insurance issues, including fidelity losses. Assisted with multimillion-dollar cyber matters, including preparation, the placement of insurance and the actual loss. Successfully won summary judgment on a $100 million fidelity loss in the high tech industry. Litigated and recovered $20 million on a life insurance claim.